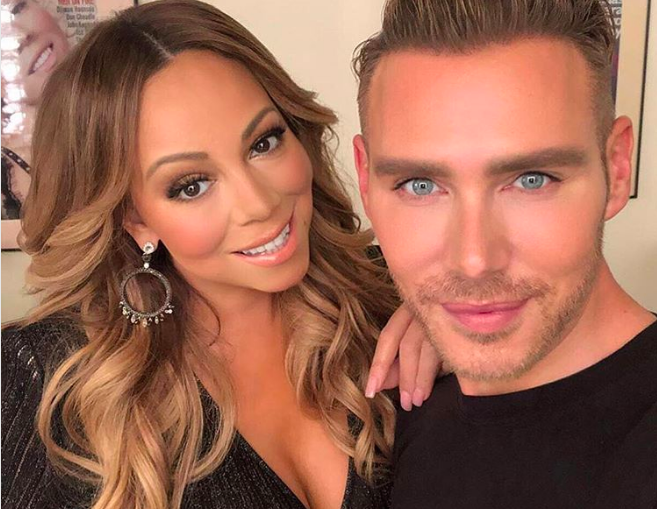 When it comes to celebrity beauty, Kristofer Buckle is a legend. Over his career,Buckle has glammed up an impressive number of our favorite stars including Christina Aguilera, Blake Lively, Jennifer Lopez, Jessica Chastain, Katy Perry, and Blake Lively, among others. He also has his own cosmetics line, which features must-have products like the new Cashmere Slip lipstick in Disco, the Power Lock Setting Spray, and the Light Enhancing Duo—a highlighter palette he had made originally for Christina Aguilera during her film Burlesque. NBD. While giving me an Erika Jayne-style makeover, Buckle generously shared many of his makeup tips, including the biggest mistakes people make while contouring, the best way to apply concealer, and why we shouldn’t forget about blush. Contouring can be tricky for the makeup novice, so we asked Buckle what he thinks are the biggest mistakes people make. “They have to know where they’re gonna be. If you’re gonna be in daylight, you wanna make sure that you’re subtle about it,” he says. The second mistake has to do with the color. “You wanna make sure that it’s not too warm, otherwise it ends up being like mustard face. You don’t wanna look like you got into a batch of bad mustard.” We absolutely do not.